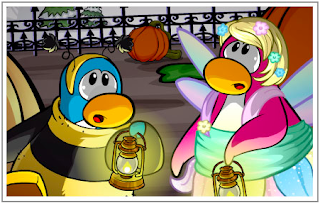 Club Penguin Cheats by Mimo777 Club Penguin Cheats by Mimo777: Club Penguin Halloween Reviewed By You! i would like to see the lab come back. do you remember that? it was a dungeon where they had all of the mad scientist stuff on a little page/catalouge. There was an operation table and you played games of operation. it was s much fun. I want to see the Mad Scientist :) ROCK ON! Dont forget to check out the lighthouse for night of the living sled! I WON THE HALLOWEEN IGLOO CONTEST!!!! I WON I WON I WON!!!!!!!!!!!! IM SO HAPPY! Cool! Congratulations! Did you win the top prize or are you a runner up? Yeah! That lab was cool! Also please only put CPG MOD when you are modding! Thanks! I thought I recognized your name in the newspaper! Well Done!